What is OptinMonster? OptinMonster is one of the most popular lead-generation plugins on the internet. It allows you to create beautiful attention grabbing opt-in forms that convert well. OptinMonster gives you the power to convert your website visitors into subscribers and customers. Integrating with OptinMonster is quick and easy if you follow these simple steps! Go to the menu and click on Settings > Integrations & Plugins > OptinMonster and copy your OptinMonster Webhook URL. 2. 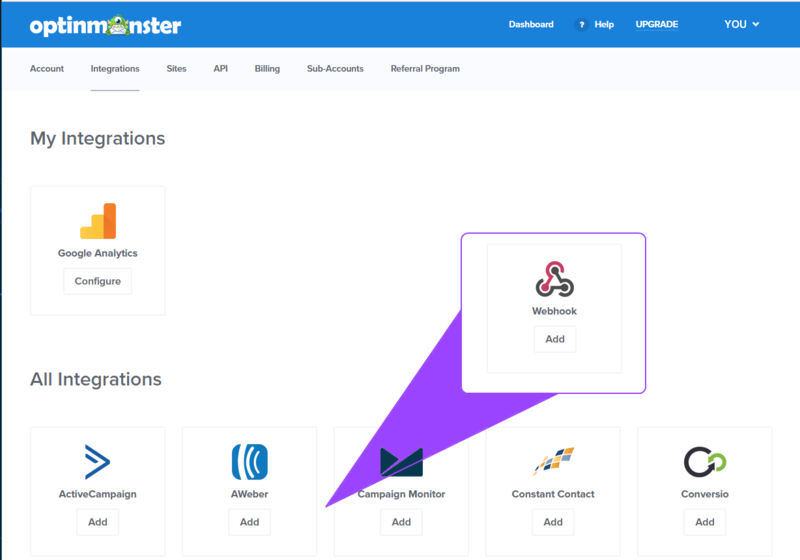 Log in to OptinMonster, select My Accounts from the drop-down menu in the upper right, and choose Integrations from the top of your account page. 3. Find the Webhook integration option and click Add. 4. Click Add a New Connection. 5. Enter a name and paste your webhook URL into the Webhook URL field. The name will be used later in order to select the integration for use by a campaign. 6. Click Connect to Webhook. 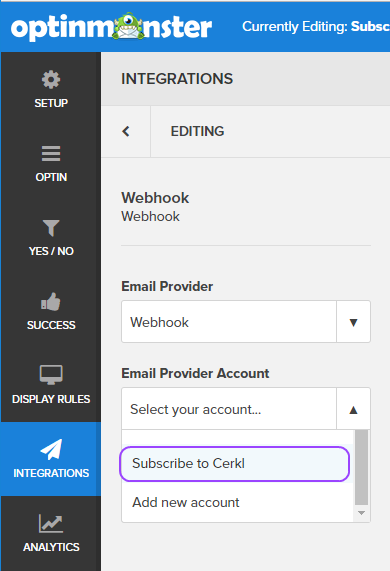 The new integration with Cerkl is now ready to be used in your campaigns! 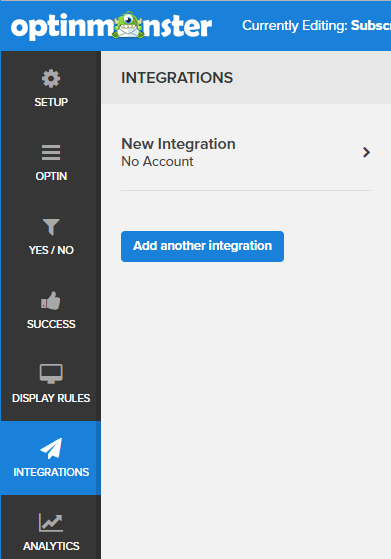 To use the new integration in a campaign, simply go to the Integrations tab of the chosen campaign. 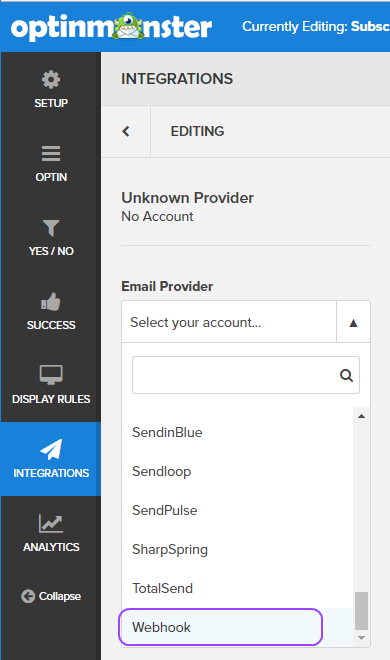 Click New Integration and select Webhook as the Email Provider. Select the name you gave the integration previously as the Email Provider Account. Click Save in the top right corner of the page to finalize the integration. Now each time someone fills out the campaign form and opts-in, they will automatically be subscribed to your cerkl!